Is this meant to be a camouflage? I went past this bike cover in Shibuya today. I think it is a bike under there but it could be some sort of animal. It sort of looks like a dog if you pin a tail on it. 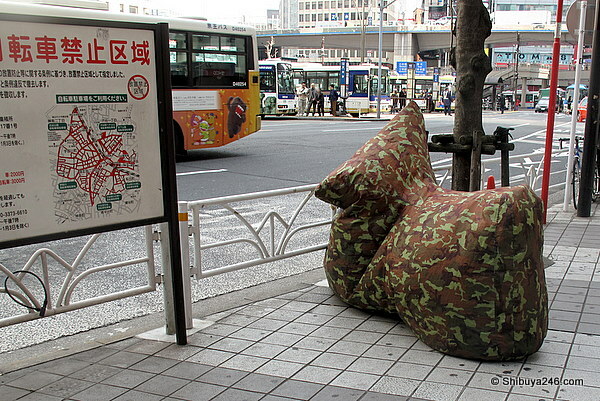 The camouflage cover really didn’t seem to be having the desired effect against the concrete backdrop. Maybe the owner should have parked the bike in the jungle not in the city.